This product is a 20-foot-long, 12-inch wide roll of 3 oz per-square-foot solid copper. It comes with a 1-pound box of 2.5-inch solid copper ring-shanked nails. You'll have plenty of nails and some left over. It's thin, easy to work with and extends the useful life of your asphalt shingles for DECADES. NOTE: The black algae stains were on his shingles before he installed the copper. These stains will DISAPPEAR in a few months once the copper washes down the roof. EASY to Install - Just fold over ridge cap shingles or ridge-vent and nail. Nails placed 2-feet on center. 20 feet can be installed in 8 minutes with ease. 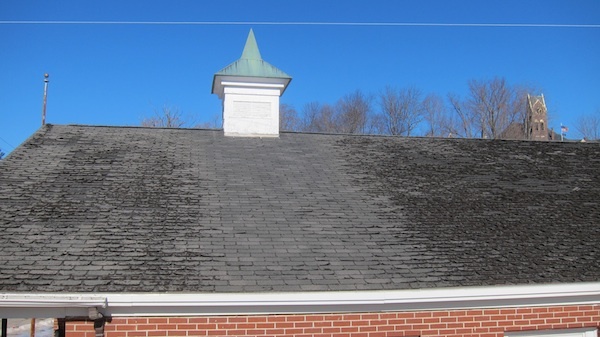 CALCULATING QUANTITY NEEDED: If the distance from the roof ridge peak to the gutter line is 25 feet or less, then all that's needed is 6 inches of exposed material per side of roof. For EXTRA PROTECTION or longer roofs, you may need our 18-inch-wide product. COMING SOON! SAFETY WARNING: Working on roofs is inherently dangerous. You can fall and sustain serious injury or die. If you lack the skills and common sense to work safely on your roof, then hire a professional to install this product. WARRANTY: Tim Carter Builder, Inc. and AsktheBuilder.com (Seller) warrant that this copper will be free from defects. The extent of this warranty is for the price of the product only. Since the seller can't control the amount of sunlight, rainfall quantity, quality of installation, etc., it's impossible to predict how well the product will work. 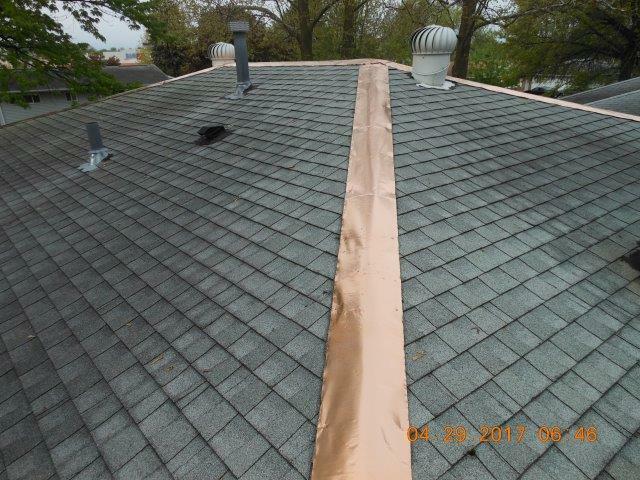 Click the button below to add the Copper Roof Ridge Roll 12-Inch Wide X 20-Feet Long to your wish list.